Parents everywhere want their children to be happy and do well. Yet how parents seek to achieve this ambition varies enormously. 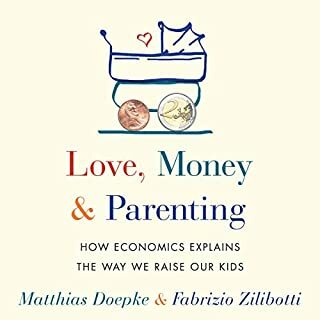 Through personal anecdotes and original research, Matthias Doepke and Fabrizio Zilibotti reveal that in countries with increasing economic inequality, such as the United States, parents push harder to ensure their children have a path to security and success. 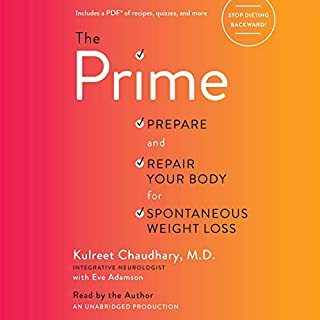 Integrative neurologist Dr. Kulreet Chaudhary discovered a beautiful side effect to the eating and lifestyle tools she gave her brain patients - shedding excess pounds. 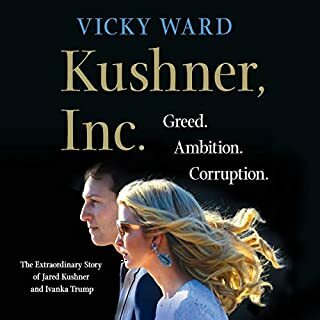 In this, her first book, she shows listeners that weight gain is a result of the body being in a toxic, inflammatory state. If your body is not prepared, or "primed", for weight loss, you will fight an uphill biochemical battle, and the odds of succeeding are slim. We all want our children to reach their fullest potential - to be smart and well adjusted, and to make a difference in the world. We wonder why, for some people, success seems to come so naturally. Could the secret be how they were parented? 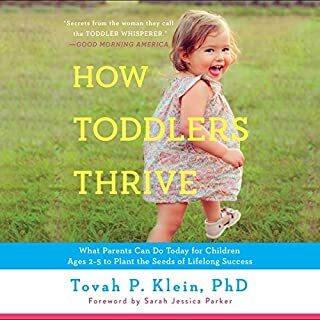 This book unveils how parenting helped shape some of the most fascinating people you will ever encounter, by doing things that almost any parent can do. You don't have to be wealthy or influential to ensure your child reaches their greatest potential. What you do need is commitment - and the strategies outlined in this book. 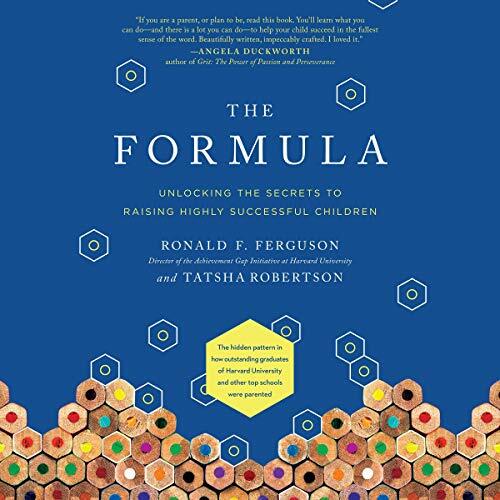 In The Formula: Unlocking the Secrets to Raising Highly Successful Children, Harvard economist Ronald Ferguson, named in a New York Times profile as the foremost expert on the US educational "achievement gap," along with award-winning journalist Tatsha Robertson, reveal an intriguing blueprint for helping children from all types of backgrounds become successful adults. Informed by hundreds of interviews, the book includes never-before-published insights from the "How I was Parented Project" at Harvard University, which draws on the varying life experiences of 120 Harvard students. 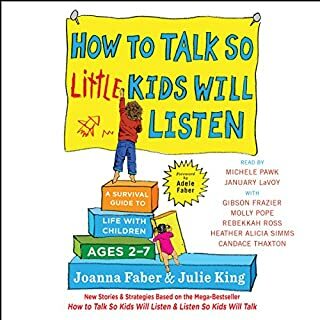 Ferguson and Robertson have isolated a pattern with eight roles of the "Master Parent" that make up the Formula: the Early Learning Partner, the Flight Engineer, the Fixer, the Revealer, the Philosopher, the Model, the Negotiator, and the GPS Navigational Voice. 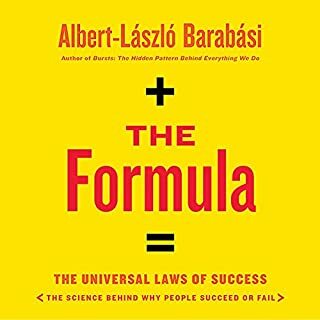 The Formula combines the latest scientific research on child development, learning, and brain growth and illustrates with life stories of extraordinary individuals - from the Harvard-educated Ghanian entrepreneur who, as the young child of a rural doctor, was welcomed in his father's secretive late-night political meetings; to the nation's youngest state-wide elected official, whose hardworking father taught him math and science during grueling days on the family farm in Kentucky; to the DREAMer immigration lawyer whose low-wage mother pawned her wedding ring to buy her academically outstanding child a special flute. The Formula reveals strategies on how you - regardless of race, class, or background - can help your children become the best they can be and shows ways to maximize their chances for happy and purposeful lives. ©2019 Ronald F. Ferguson and Tatsha Robertson (P)2019 Brilliance Publishing, Inc., all rights reserved, published by arrangement with BenBella Books. Its very inspiring! Motivates you to do so much more for your kids! I just cant say enough good things about this book! I couldn’t wait to listen to it every time i stopped! Its very informative and I’ve learned a-lot. I love all the different examples. Very good book every parent should listen!